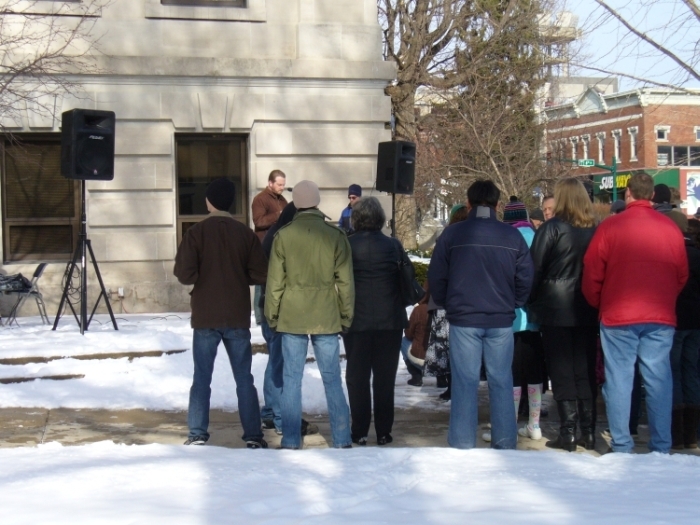 About 200 abortion opponents gathered at the Monroe County Courthouse on Sunday to sadly remember and protest Roe v. Wade, the 1973 Supreme Court decision that threw out laws against abortion in all 50 states. 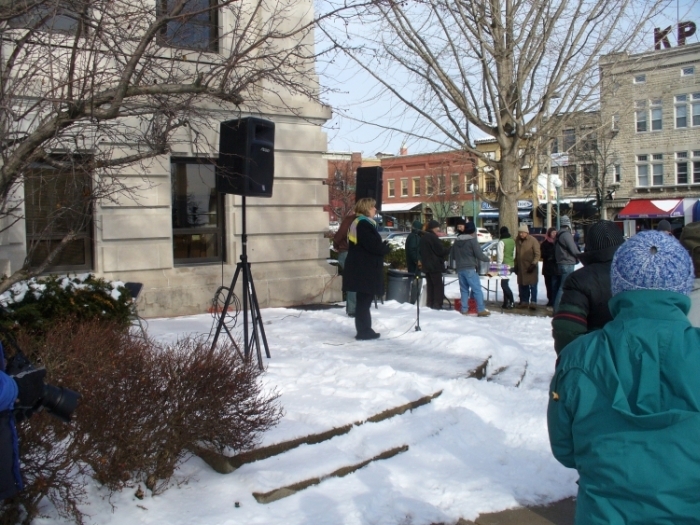 The rally was organized by Christian Citizens for Life, an alliance of several Monroe County churces to oppose abortion. Tina Tuley-Lampke informed the crowd of a new children's ministry at the Crisis Pregnancy Center, in addition to the material support to young mothers and the Hannah House maternity home for women who need a place to live with their babies. CCFL encourages people to donate to CPC online or though more traditional means. 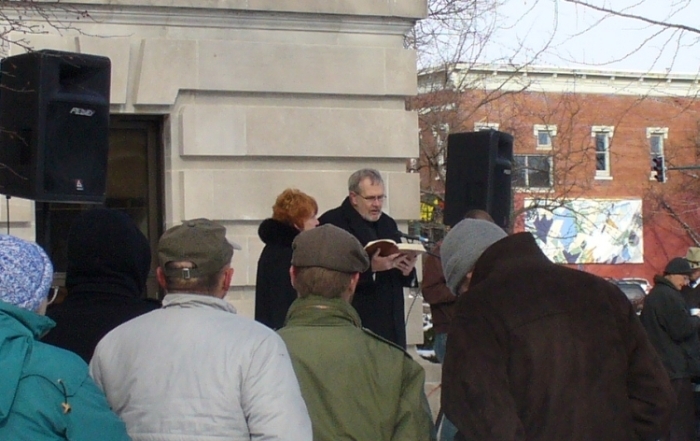 Alan Phillips of Sherwood Oaks Christian Church was the keynote speaker, encouraging us to stand up for the unborn and defend the basic human right to life. His wife Sharon told the story of an unplanned pregnancy in 1979, which was a shock for which she was unprepared. When her doctor responded to her distress by saying that he can "take care" of this "problem," she promptly walked out of his office. Today, her son is about to get his doctorate. 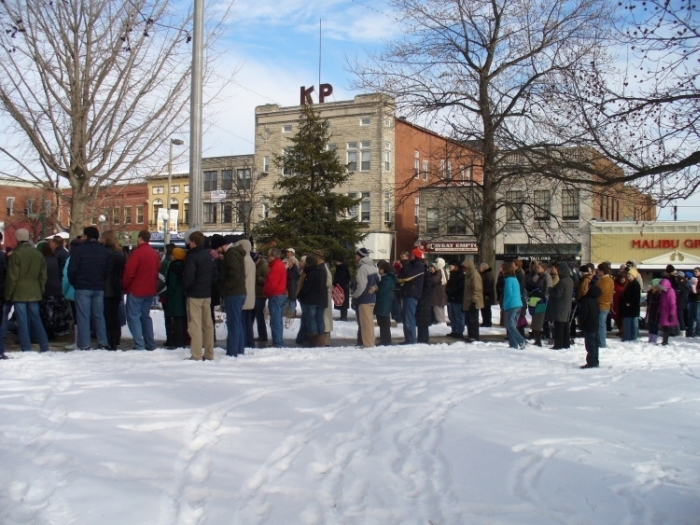 After the speeches and prayer, we marched down Walnut Street from the courthouse four blocks south to Second Street, and then back up College Avenue past Planned Parenthood back to the courthouse. 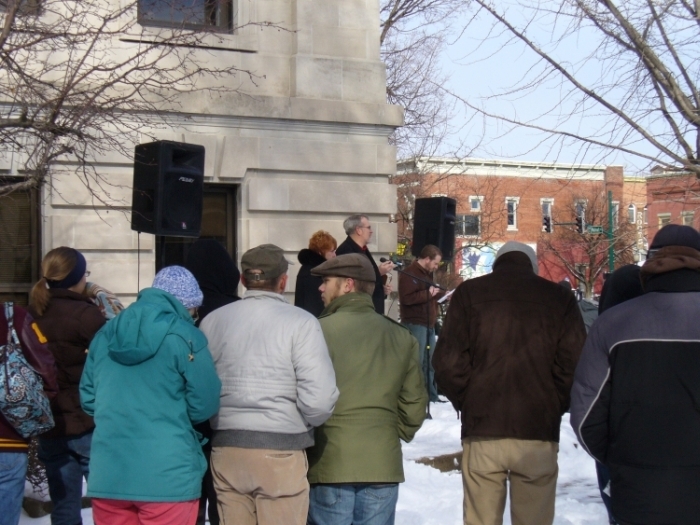 I was struck by the inhumanity of allowing an abortion mill to operate in downtown Bloomington, while hundreds drive by unmoved by the murders that take place inside that building. Planned Parenthood's crimes against humanity are funded by the Bloomington City Council and the Monroe County Council. See my letters to the county council and city council. 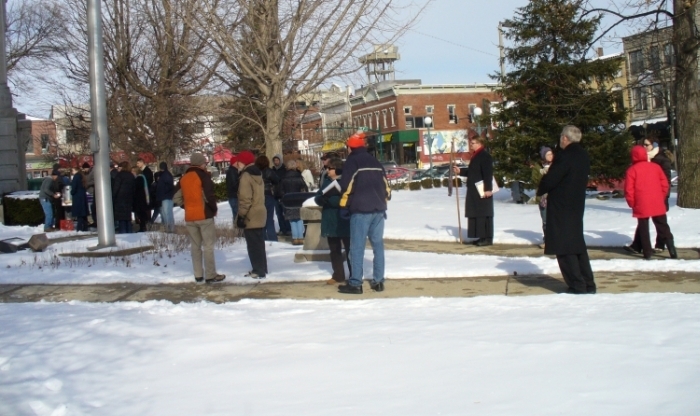 The Rally for Life is the first of four events Christian Citizens for Life organizes throughout each year. CCFL also organizes an entry in the Fourth of July Parade, a booth at the Monroe County Fair, and the Life Chain in October.